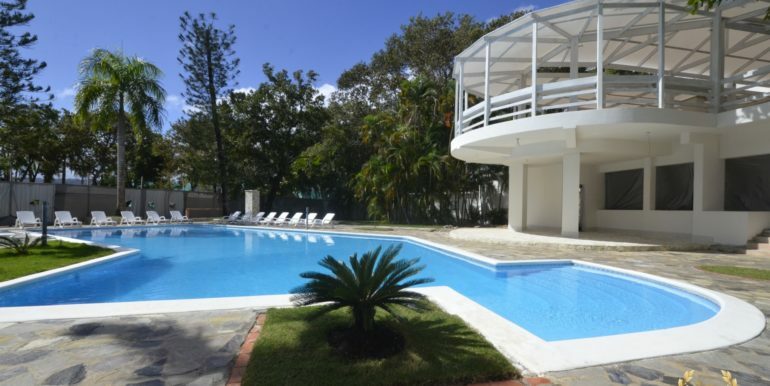 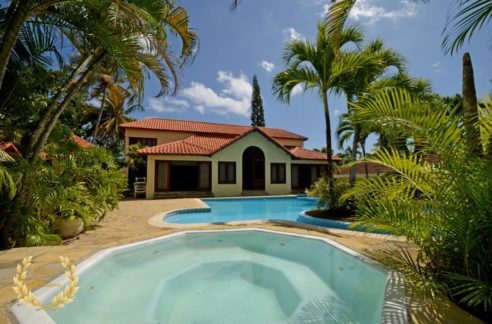 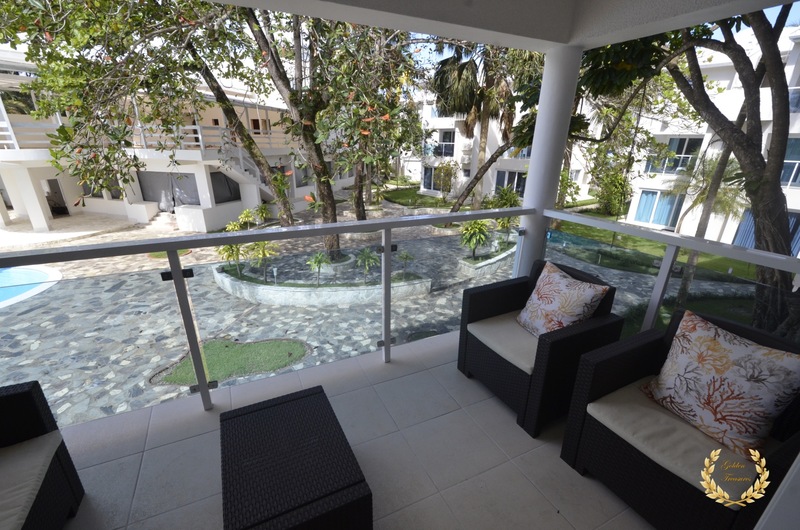 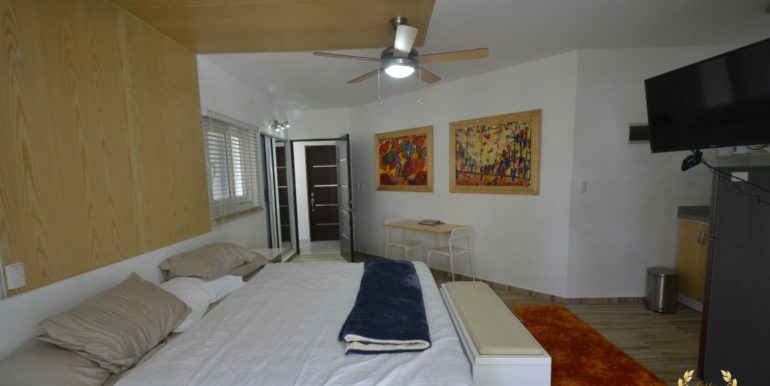 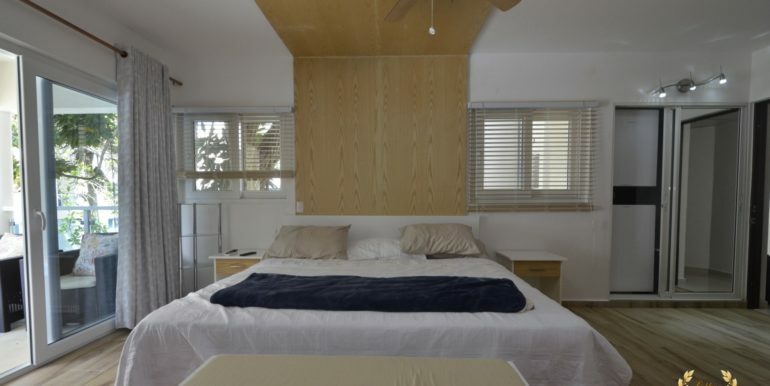 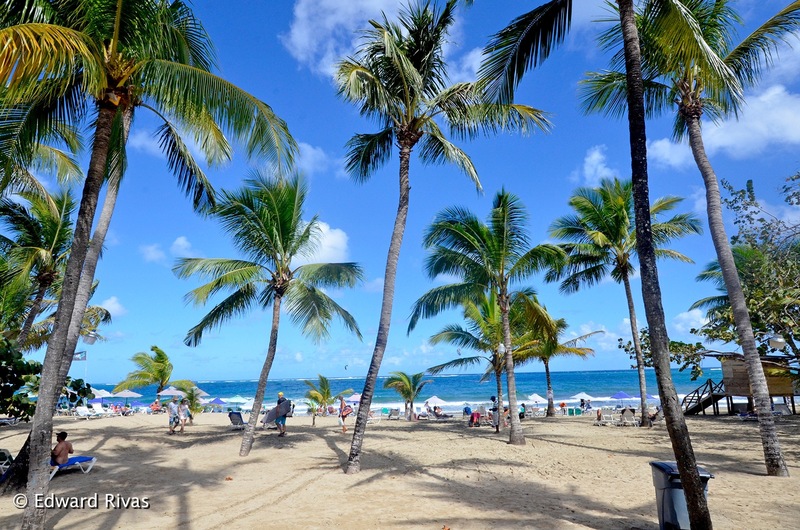 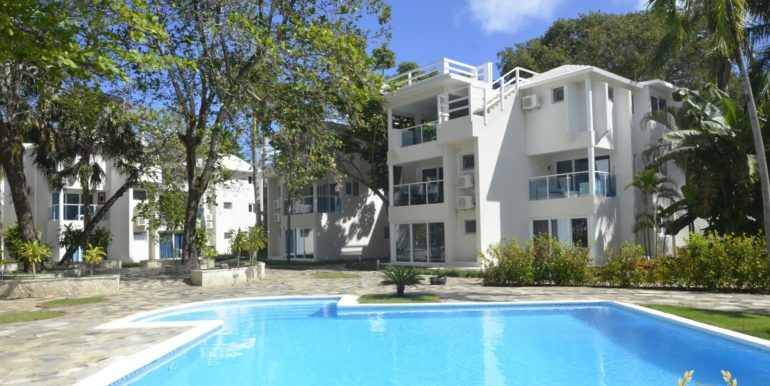 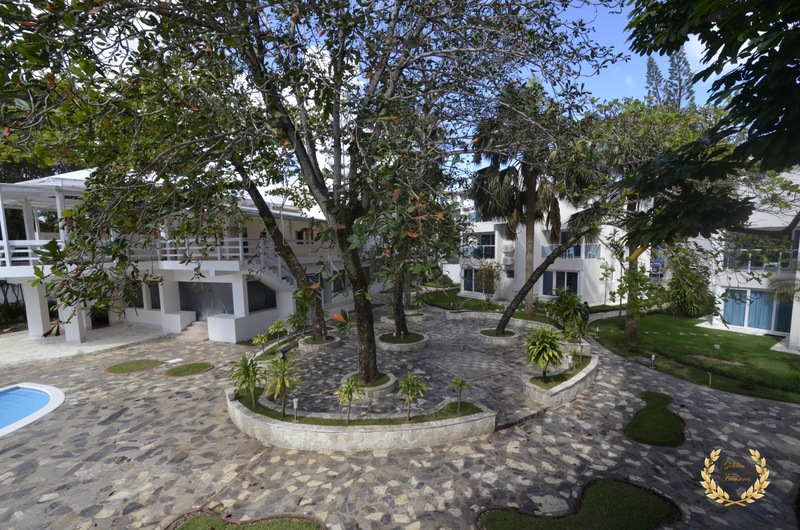 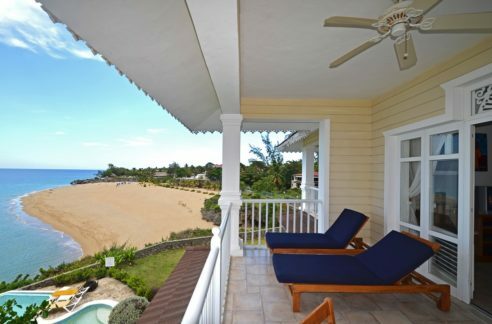 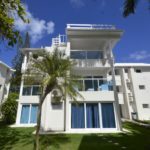 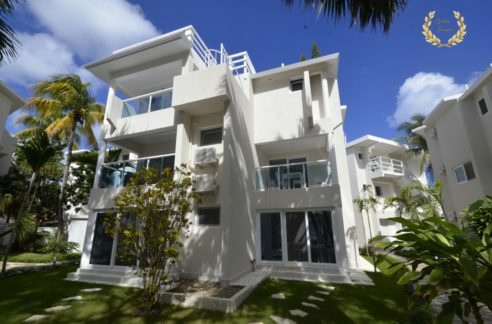 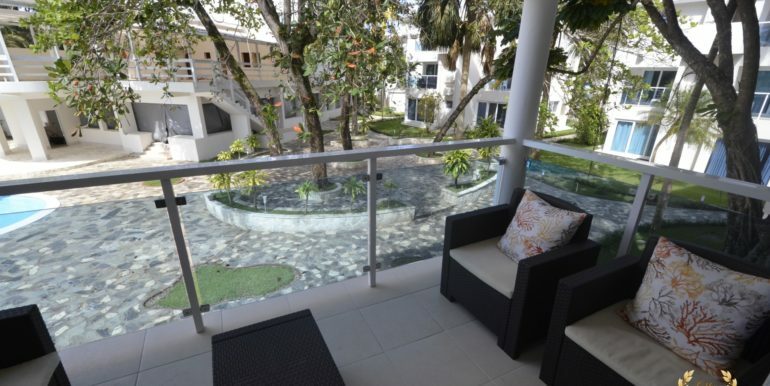 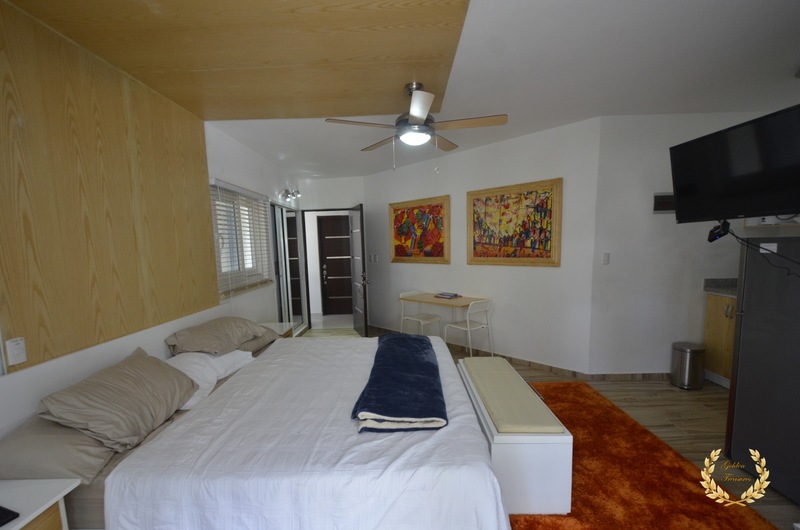 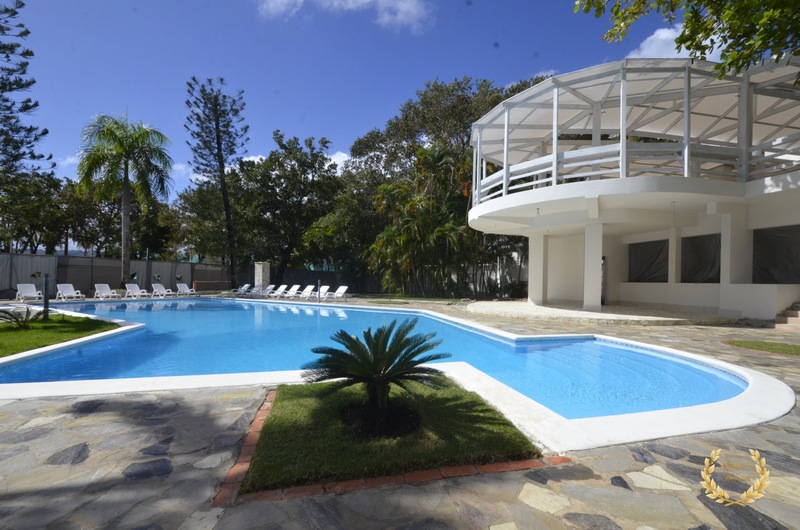 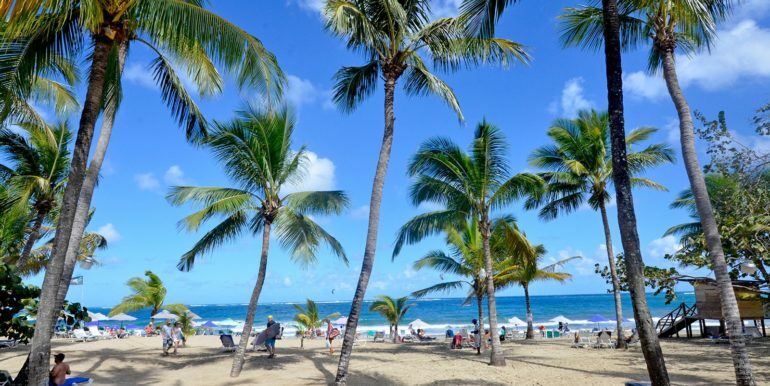 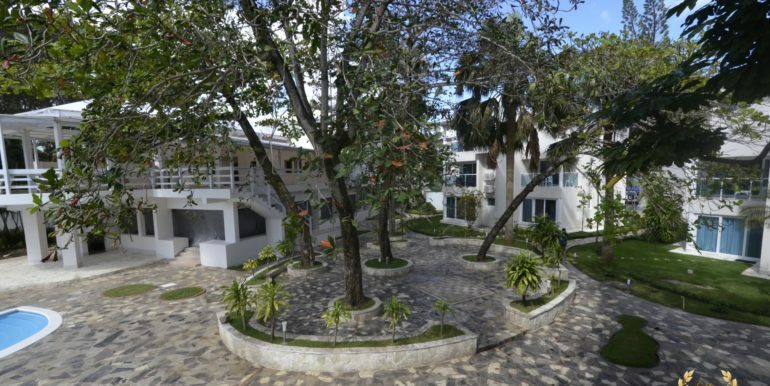 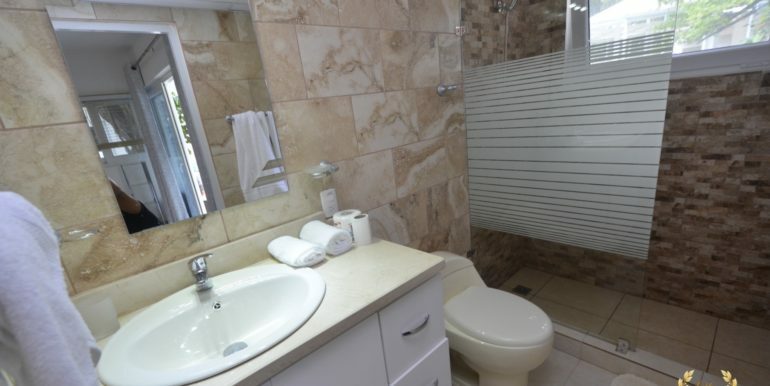 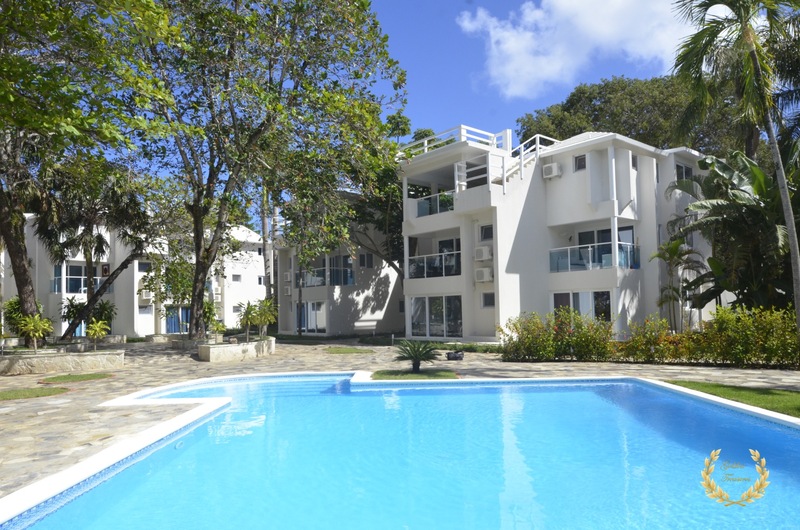 This Cabarete studio for sale in the center of town is, simply put, ideal. 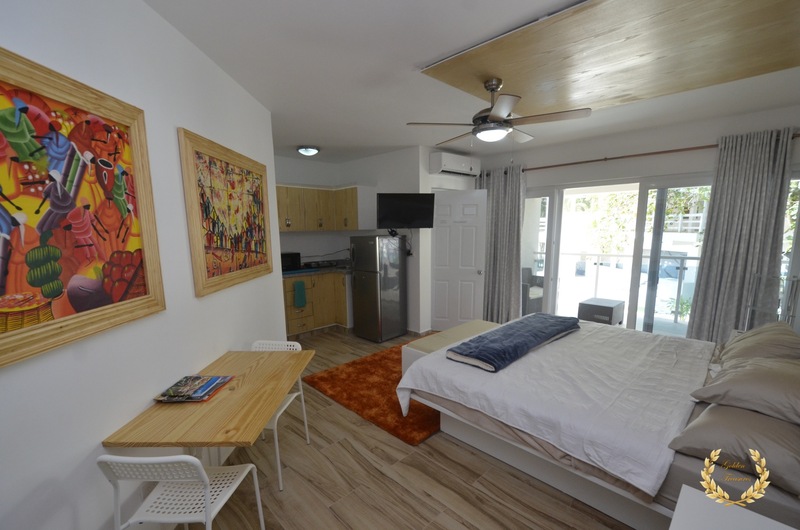 Low maintenance, low cost, centered just 1 minute walking distance from the very heart of town. 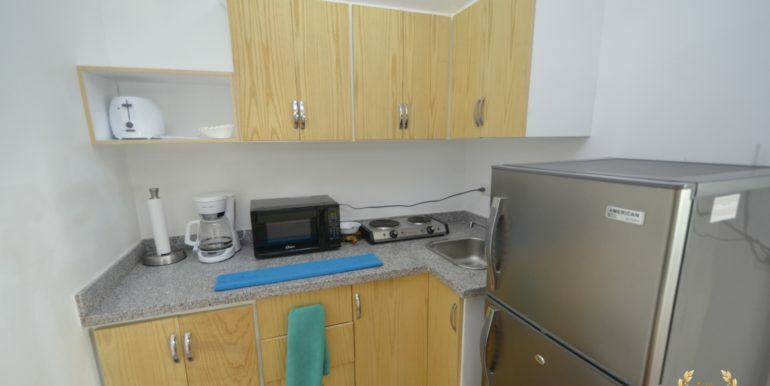 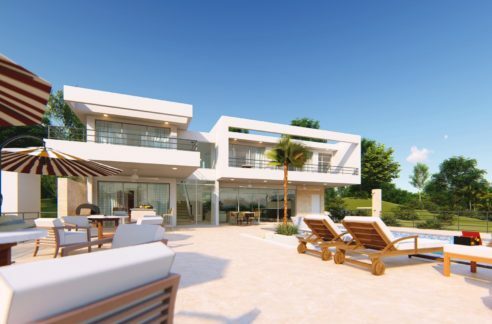 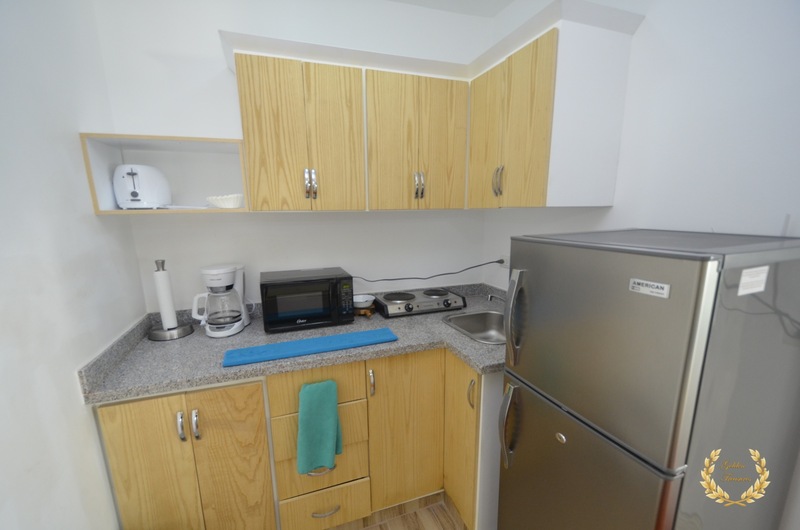 Nicely decorated, with fully equipped kitchen and a very functional design and distribution. 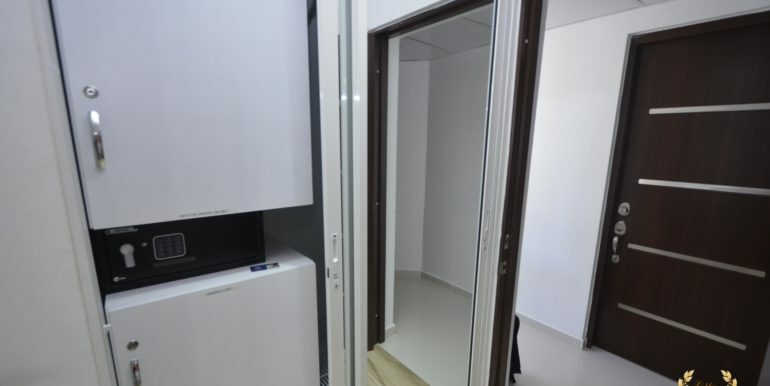 To those who safety is a priority when in town ( and when away ) this unit has the added bonus of being inside a gated residential with private security. 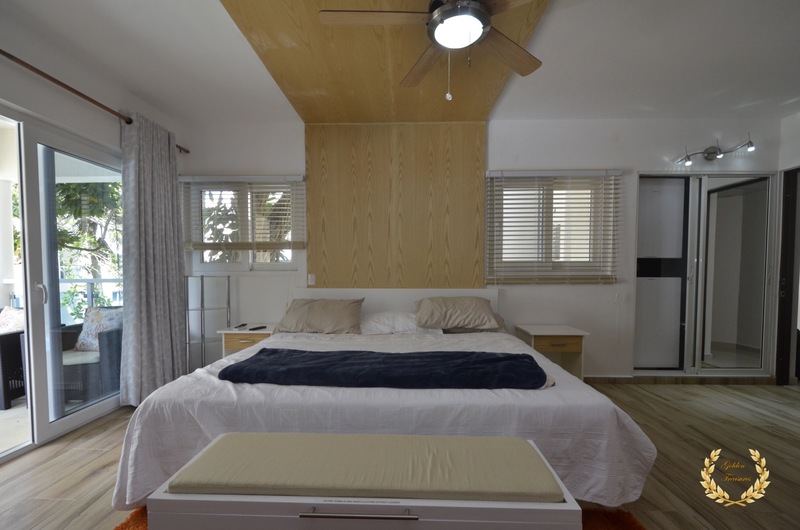 The open design and decor makes it the most exquisite unit available at this price, with wood accent wall behind the king size bed, all the way to the very top ceiling. 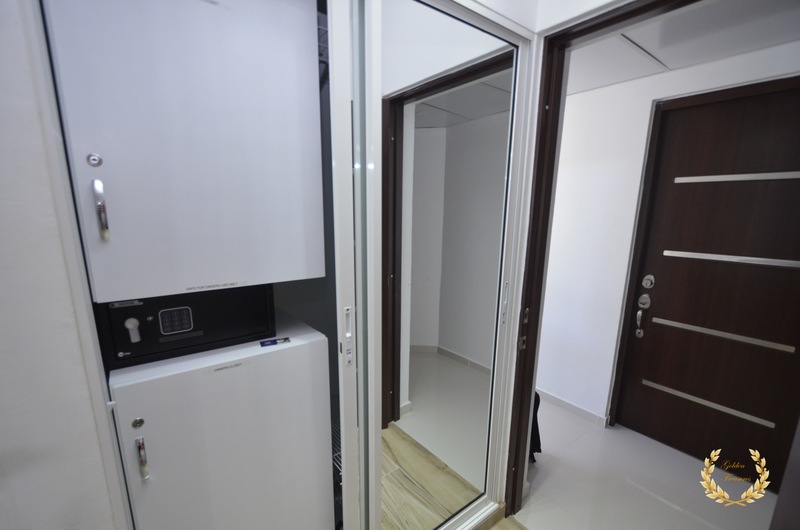 It is a turn-key purchase, with flat screen TV, fridge, safe deposit box in closet, modern window blinds, ceiling fan, A/C, kitchen appliances and brand new cabinets. 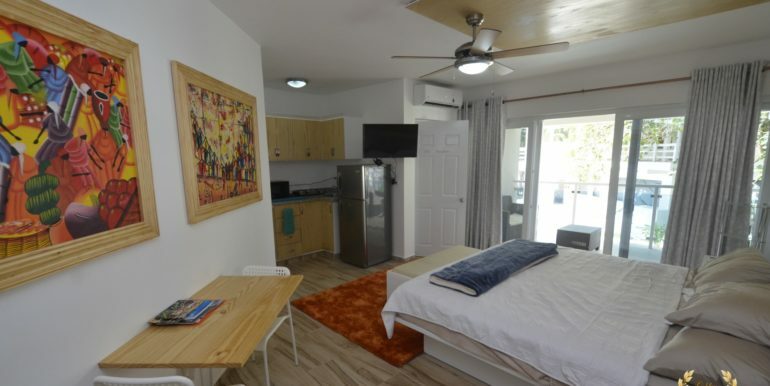 The neutral, tastefully selected pastel tones of the curtains, the white walls and the accent primary colors of the wall art and carpeting create a sense of balance, the pure nirvana for peace loving surfers, writers and beach loving individuals. 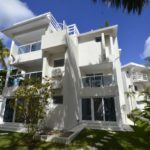 The low power usage, low HOA fee of $120/month and excellent proximity to Cabarete beach makes this a hot listing, call or email us to arrange a visit From Friday to Saturday. 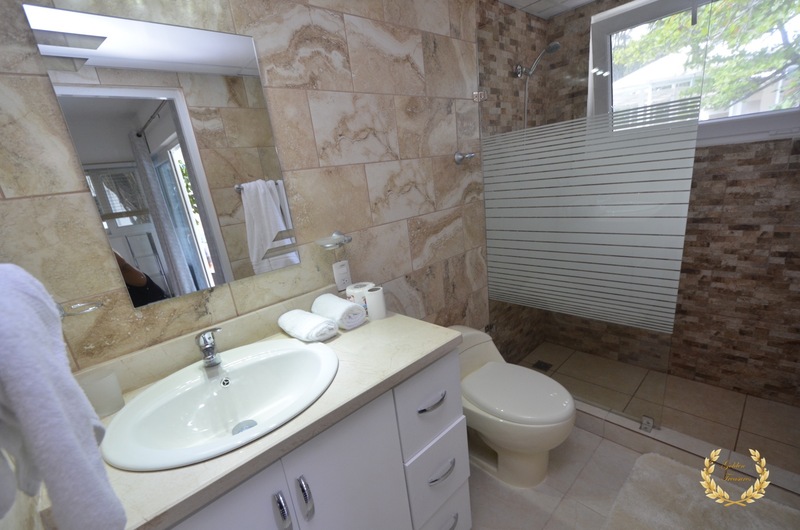 Owner financing available, call Edward Rivas for details.